Fans of The Wire will recognise Hamsterdam as an experimental free zone in Baltimore where drug dealers sell their wares and drug users consume them without fear of arrest. Spoiler alert: it gets messy. Don’t confuse that Hamsterdam with this one. 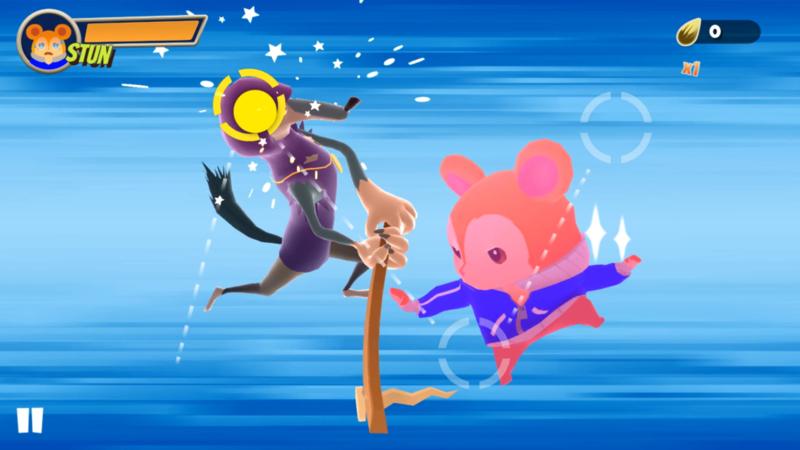 The Hamsterdam we saw at GDC this week is not a den of drug-addled despair, but an adorable and inventive brawler featuring, yes, a hamster. Fighting games are tricky on a touchscreen. While many studios have tried it with virtual buttons, there’s no getting around the fact that fighting games, almost more than any other genre, depend on physical controls that you can yank and hammer as if you were in the ring yourself. It takes some ingenuity to get around this limitation. Drinkbox pulled it off with Severed, Epic managed it with Infinity Blade, and Hamsterdam looks like the latest contender to join this elite club. Without going into too much detail, the game is set in Hamsterdam. An evil chinchilla called Marlo (The Wire reference!) and his gang of vermin are disturbing the peace, and it’s up to you, an expert in Hamster-fu, to reclaim the streets one KO at a time. The graphics are clean and cartoony, with a vaguely Fruit Ninja-esque 3D visual style, and the presentation is reassuringly polished. Hamsterdam is coming to Switch as well as PS Vita and mobile, so it has a demanding consumer base to satisfy. But it’s the gameplay that counts, and this is where developer Muse games has clearly had to work hardest to make a game that plays well across a range of touchscreen and traditional devices. There are a handful of different attack types in the game’s standard levels. First up is the simplest: tapping the screen. Though this isn’t quite as simple as it sounds, since you get a combo boost for tapping rhythmically. Then there’s the attack you carry out by swiping an enemy when it flashes. Finally, there’s the KO, a powerful attack that you can execute by dragging the KO button over an enemy whenever the KO meter fills. You’ll typically be juggling several enemies at once, so combat is a constant test of reflexes and judgement. We played an early stage and one from about halfway through the game, and the challenge felt manageable in both cases. Between every few normal stages you’ll encounter a boss, and these stages mix things up a bit. We saw two, one of them a sort of side-scrolling platformer where the aim was to dodge lines of enemies by switching between platforms, the other a more conventional boss stage in which the aim is to dodge bombs and catch hamsters. Hamsterdam will be a paid game on Switch and PS Vita, and probably mobile too, though it allows players to buy ability-enhancing items in-game with virtual currency that you can pay for with real currency, so a free-to-play mobile version seems possible. 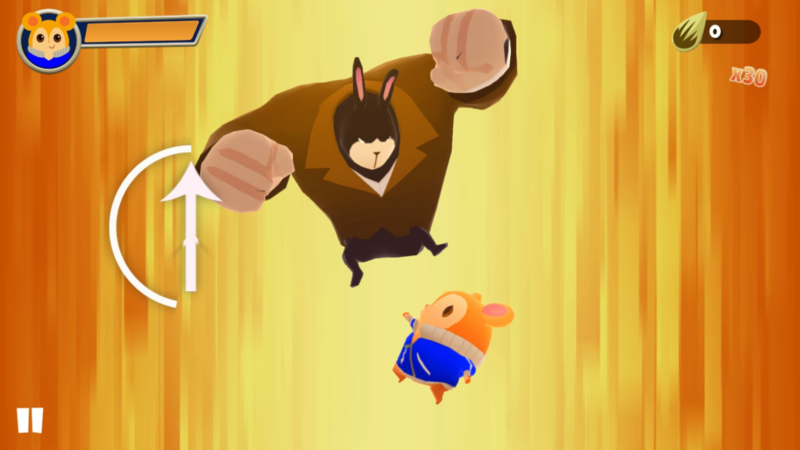 Either way, Hamsterdam is shaping up to be a solid, likeable, and original take on the classic arcade beat-em-up. Muse Games wasn’t able to furnish us with a concrete release date, but you can expect to see it on the virtual shelves some time this spring.